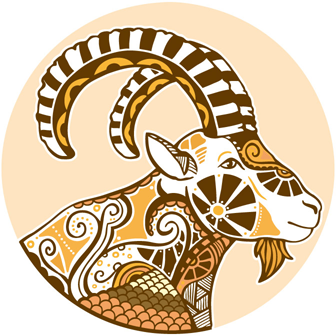 Within relationship Capricorn has no easy part when it is useful to show and reveal emotional sentiments. ♑ She considers her career seriously. Obviously it seems as if there is no more room for her emotional life. This part is hidden and abandoned. Persons born in the sign of Capricorn are estimated as reserved, cold and rigid. So to speak it must not be considered as the complete truth. They could be full of sensations but it just would have been shown after getting confidence and belief in somebody else. Life is no game for her! It is taken for serious – she is afraid not gaining her aims and not being successful at all – and for this she always struggles for more. For her a situation of being insecure and a risky life is inconceivable cruel. She just relaxes when all is done and her situation and living conditions are safe. She is really material and gains for material success. It is her part to strive for more. Within relationship Capricorn has no easy part when it is useful to show and reveal emotional sentiments. First she needs confidential affection. But first of all she comes along with her professional standard and her career.